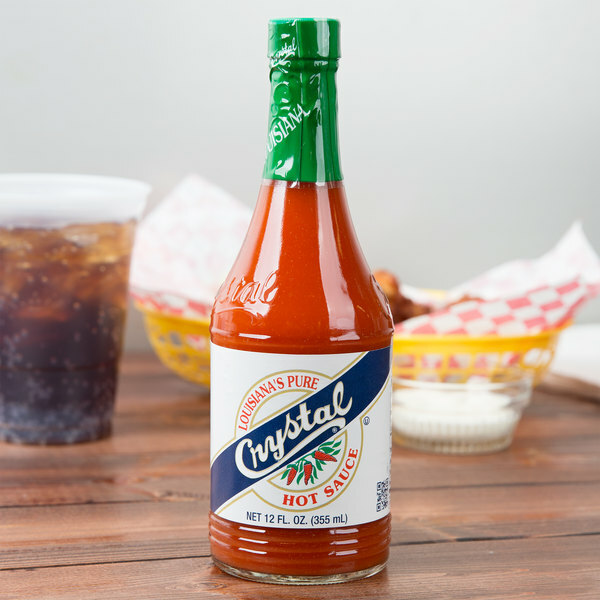 Provide your customers with a quick and easy way to add bold flavor to your signature dishes with this Crystal hot sauce. This hot sauce is the ready-to-use, no-hassle way to spice up any plate right at the table. 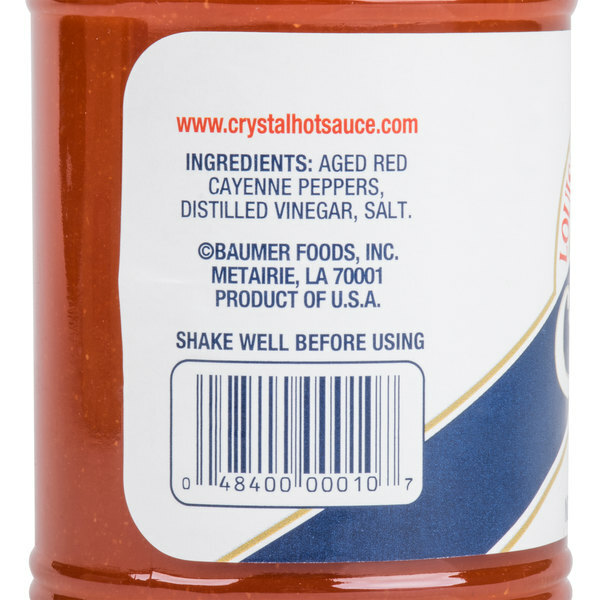 It blends aged red cayenne peppers, vinegar, and seasonings to achieve the signature Louisiana flavor it's known for. Its controlled heat level provides just the right amount of zesty taste. Use this hot sauce for BBQ, marinades, and more! It's perfect for chicken wings, dips, oysters, hamburgers, and meatloaf. Just a small dash of this sauce adds heat to soups and chili. Providing no mess or spills from bulk containers, this 12 oz. 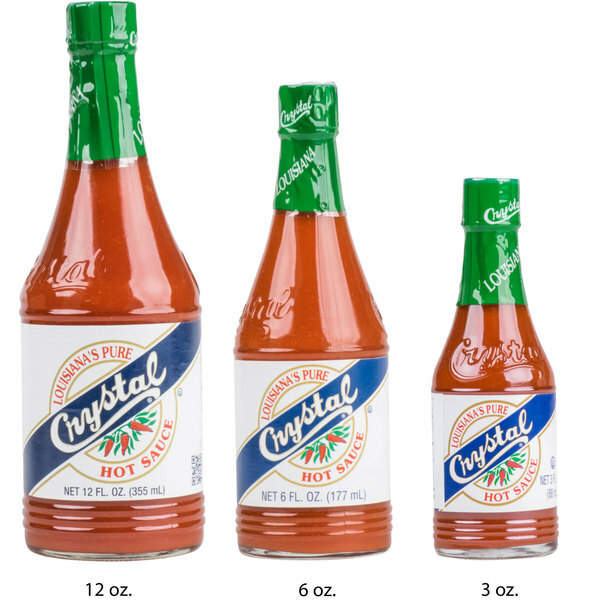 glass bottle lessens prep time and strengthens table service. Hot sauce served tableside enables patrons to drizzle just the amount they prefer on their dishes. 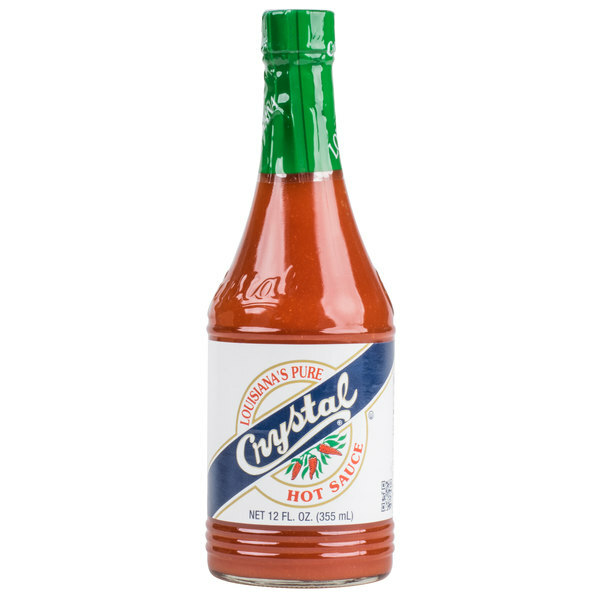 Intensify the flavors of your most popular foods with this Crystal hot sauce! I love this sauce. 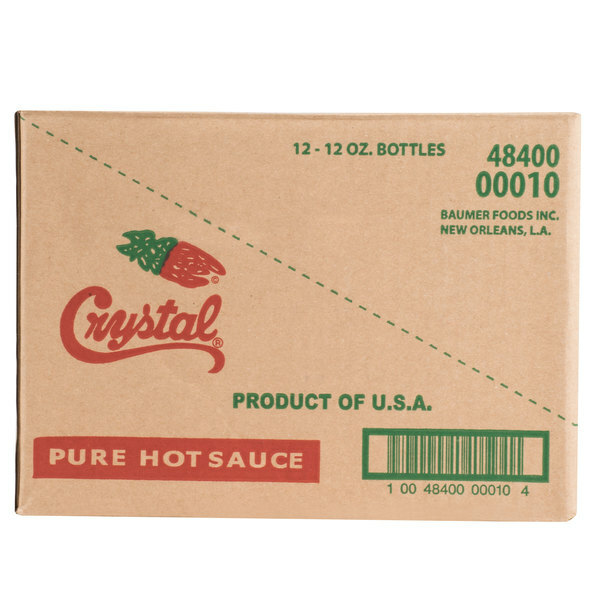 It is one of our favorite hot sauce brands because it is not TOO hot. It has a balanced taste that does not overwhelm the palate. It has a nice salty, roasted pepper flavor. This sauce is somewhere between Louisiana Hot Sauce and Tabasco on flavor- it's not generic and it's not exotic. 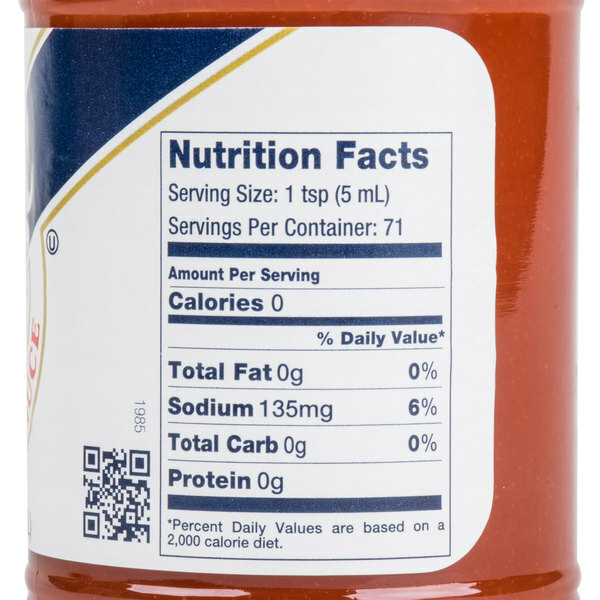 This sauce tastes GREAT after sitting on the shelf for extended periods of time- it's like it mellows and makes more flavor in the bottle somehow- the salt gets more flavorful with chili oils in it.